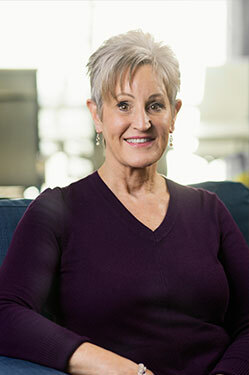 AZA Events President and Owner Lori James Brownell has been one of the Southwest's most creative, innovative and successful event producers for nearly thirty years, lending her considerable talents to an extraordinary broad range of clients and businesses. Lori's penchant for professionalism, visionary take on the event-planning process and undeniable Midas touch when it comes to destination event management has made her one of the most sought-after DMC professionals across Arizona, Southern California and the Southwestern United States. Single-handedly responsible for taking AZA Events from a small, Arizona-specific operation to a thriving multi-million dollar company, Lori is perhaps most recognized for her ability to not just anticipate client needs before they're even discussed, but to deliver them well beyond what's expected. Roger Brownell brings an abundance of business experience to the AZA Events team, stemming from a long and storied past in business, finance and real estate. A behind-the-scenes machine of sorts, Roger handles the financial, legal and human resources side of the business and ensures that all AZA administrative tasks stay firmly on track. Born and bred in Buffalo, New York and a proud graduate of The State University of New York at Buffalo, Roger ran his own business for forty years before becoming an integral part of the AZA team. During rare off-the-clock moments, he’s an avid day trader who also holds pilot, scuba and real estate licenses, and when it comes to his work, he’s a firm believer that if you take great care of your clients, success will take care of itself. This smart and savvy second-generation Arizona native boasts a background in both tourism and meeting planning, and uses her keen memory, sharp eye for detail and abundant creative and marketing talents to keep clients coming back event after event. Passionate about family, hiking, her rescue pup, Jackson, and her career, Ciara brings an impressive combination of youthful exuberance and professional wisdom to the AZA Events team. When it comes to dotting I’s and crossing T’s in preparation for a big event, rest-assured that Ciara has every facet covered. After two years in our Scottsdale headquarters, Ciara set sail for Southern California where she leads the destination team offering premier DMC and event services in San Diego, Orange County beach cities, and Palm Springs. Ciara recently celebrated 5 years with AZA Events and sits on the SITE Southern California Board of Directors as VP of Education. Jessica Hendricks knows a thing or two - or 10 - about how to celebrate special occasions, having grown up under the watchful eye of the owner of The Paper Place, a Scottsdale institution known for its unique and eye-catching invitations, stationery and other goods and accessories. A Phoenix native and proud University of Arizona graduate, Jessica was raised in an environment where even the simplest "family dinner" turned into a full-scale affair, and it shows in her ability to take events of all sizes and make them lively, inviting and unforgettable occasions. A master of managing high stress times, Jessica prides herself on her ability to minimize tensions and keeping everyone smiling. Having essentially been born in the industry before working events across Arizona, Los Angeles and the western United States, Jessica finds that her biggest success come in not just putting on great celebrations but taking a blank space and creating something significant and memorable. Well-trained and equally well-traveled, Vicky Magaña brings a wealth of event planning and hospitality experience to the AZA Events team. A native of the Northwest Suburbs of Chicago, Vicky first made her mark on the battlefield, serving overseas in Operation Iraqi Freedom in the U.S. Army before returning statewide to secure a culinary degree at Le Cordon Bleu College in Scottsdale. With a background in corporate travel, recruiting and tourism, AZA Events Program Coordinator Alex McAlister is well-versed in the ins and outs of today’s events industry, and she uses her insider knowledge and network to make every AZA occasion an unforgettable affair. An Arizona Lodging & Tourism Association alum who honed her skills coordinating luncheons, reception dinners, corporate travel and more, Alex takes time to connect and build trust with her clients so that they, in turn, feel confident in her ability to get the job done on their behalf. Born in Idaho and raised in Ahwatukee, Alex now lives in Scottsdale, where she fills her off-hours hosting game nights, exploring the local restaurant scene and hunting down the perfect present for any holiday, birthday or special occasion. A California native, Olivia grew up between the ebb and flow of Southern California beach tourism. While professionally trained in the fine arts, our California Program Coordinator spent her postgraduate years coordinating on ropes courses, resorts, team-building retreats, and the open mountain trails of California, Colorado and Montana. Nowadays, her colorful networking resources paired with her creative background add a new perspective to the AZA Events team. Olivia brings enthusiasm and passion to every program start to finish, not to mention an artistic vision and love for themes and décor. When she isn’t traveling for events, she is traveling for fun and always attempting to add more stamps to her passport. Olivia loves getting outdoors, camping, hiking, and finding nature’s best kept secrets. Special bonus: if her two 90 lbs lap dogs; Bodhi and Tenzing can join! With more than four decades of experience in hospitality, travel logistics and corporate events under her belt, Nancy Watts has proved herself an invaluable asset to the AZA Events team. A former independent travel director for pharmaceutical, financial and additional clients traveling the globe. Nancy’s career highlights, to date, include managing small groups to large sized programs including Olympic Games spending more than a month onsite as well as enjoying the adventures of Incentive travel with attendees to exotic locales. Back on U.S. soil, Nancy’s clients know they can count on her innate ability to multitask and make their lives easier without them even having to ask, and when she’s not on the job you will find her entertaining, jewelry-making, gardening or otherwise getting her fill of the great outdoors.